LZH Butchers is Proud of the Fact that we only Provide the best quality products that are sourced locally. We get all our beef, Veal & Goat from the Tablelands, (Morganbury Meats) and source our Lambs Through Morganbury Meats. Our Australian Wagyu is from Spring Creek Station located in Mount Garnet. Perry Fox and his wife Nicola Collins-Fox hand select the Cattle for us. LZH Butchers can provide our customers with another outstanding product. Our pork is from Sunnyville Free Range Pastured Pigs, located in Malanda. Another wonderful local company. All our chicken is Lilydale chicken, Free Range and full of natural flavour. 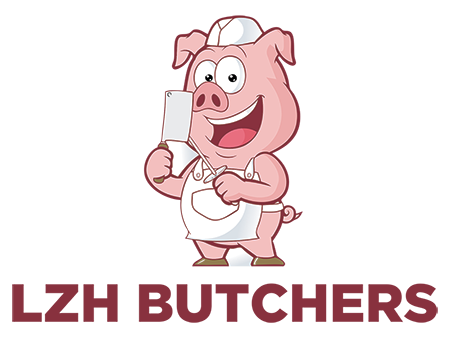 LZH Butchers is a traditional butcher shop, we will make any product that a customer requests on demand from scratch utilising the best products. LZH Butchers source everything locally. By buying local products that have been hand selected for us by our suppliers, we are reducing the costs to our customer and can guarantee the product is fresh.